Hide deals from seller "Holly's Beauty Salon"
Click 'Get It' and select either Partial Highlights option or Permanent Makeup option. Limit 1 per person. New customers only. Valid Monday-Thursday only. By appointment only. Additional charge for long hair. Promotional value expires 365 days after purchase. $27 for partial highlights, a haircut and shampoo ($55 value). 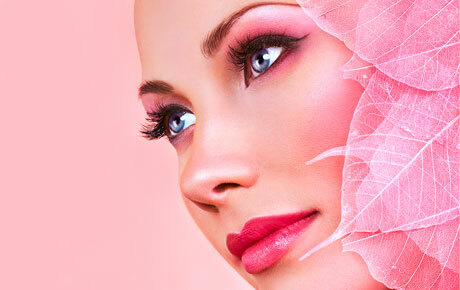 $125 for permanent makeup for eyebrows, eyeliner and lip liner ($250 value). In business for three years, Holly's Beauty Salon offers a wide range of services, from haircuts and styling to manicures and pedicures. Enhance your look with partial highlights and a haircut for short and medium hair lengths, or outline your beauty with permanent makeup. The stylists at Holly's Beauty Salon bear excellent skills and will leave you feeling sophisticated, elegant and gorgeous. A salon in Uptown that offers styling, manicures and more.